According to Pt. Shashank Katti, under clinical Sur-Sanjeevan, the disease (disorder) is firstly diagnosed and its imbalance is categorised according to Kaph, Pitta and Vata doshas and subdoshas. Matching the time, a particular raga is selected and applied as Music Therapy using certain rules to enhance or reduce the required energy levels. The treatment goes on for about 30 days for the duration of about 20-25 minutes at that particular time. Patient is asked to listen the music in a relaxed mood sitting comfortably or lying down. Results are observed after 4-5 weeks. It is observed that modification like stressing a particular note in a raga is required to get the desired result. Diseases like joint muscular pain, sciatica etc. get comparatively early results. Similarly patients of insomnia and depression get relief quite quickly. But chronic disorders like diabetes, asthma and hypertension take more than 4-5 weeks time. Quite satisfactory results were achieved on labor pains of pregnant ladies, weight gain of premature babies in a maternity home and nursing home. MT was also administered through prerecorded cassettes, that the patients were advised to listen to, as a course of 4-5 weeks. Patients’ progress is monitored through mails, phones or during personal MT sessions. There is a large scope for the development of this therapy. When many musicians start working on this, the combined efforts and experiences collected will help music therapy reclaim its stature & eminence as it was there at the time of Tansen. Shubhangee Mhaskar: A bed-ridden patient due to heavy back pain, she also suffered depressed mood for last 2 years. 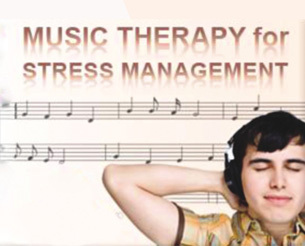 She was relieved from her pain and started her regular work after taking the music therapy for 2 weeks. Mrs. Archana Kapade: Severely suffering arthritis patient, who was unable to walk due to knee and back pain. She was cured after taking the music therapy for 4 weeks. Rageshree Paithane: After taking music therapy for 15-20 days got results on migraine and slowly the disorder disappeared. Laxman Bhatawdekar: Got rid of the collar, which was used by him for spondylitis. Mrs. Mondkar: Stiffness and pain in the neck was gone and easy movements of the neck, which was unmovable for around 2 years, were restored. Mrs. Prema Sabnis (73): After taking music therapy for 6 weeks the insulin injections which were prescribed by the doctors (twice a day) were stopped. Now only one pill is prescribed. This result is sustained for last 5 1/2 years. Prabhavati Mashve: A severe asthma patient, after having music therapy no asthma attacks were found for 4 to 5 months. Sherekar Maternity Home: Results in terms of easy delivery, less labor pains and time, well developed babies were noted - Rupali Kamat, Geeta Jaanve, Pooja Dandekar, Mansi Gamre etc. Surya Nursing Home: Average weight gain of premature babies was considerably increased after 28 days of music therapy.